Help children create stories and bring their own cartoon characters to life! 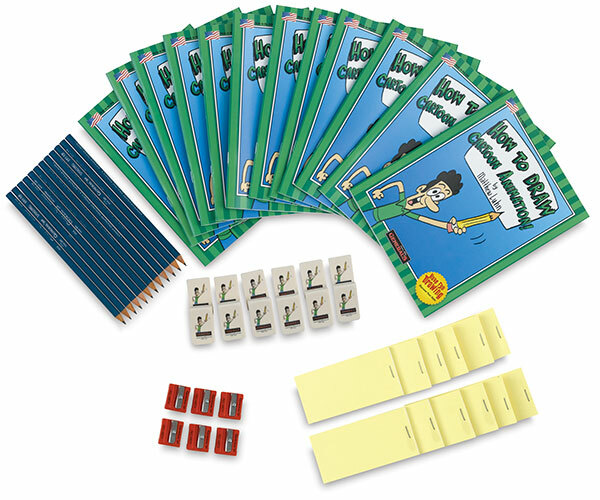 Story artist and animator Matthew Luhn provides a great introduction to comics art, animation, sequential art, and drawing in these Cartoon Classroom Art Packs from General's. Every pack contains enough materials for 12 projects. The books are printed on FSC-certified paper. How to Draw Cartoon Animation!